There was a time when building a successful Toronto startup meant eventually decamping to Silicon Valley – if for no other reason than to boost credibility in the eyes of deep-pocketed American investors. “When you talk to people in the U.S., they’re increasingly familiar with Toronto,” says Liam Kaufman, co-founder and CEO of WinterLight Labs, a University of Toronto health-care startup using artificial intelligence, or AI, and speech analysis to detect cognitive decline. Add in nearby Waterloo, another innovation hotspot, and the region comprises the second-biggest tech cluster in North America and one of North America’s biggest life sciences clusters outside of Boston. “The intersection of those two things could prove to be pretty critical,” Kaufman says. Arguably, it already is. An expanding array of entrepreneurially minded research institutes, incubators and accelerators – underpinned by cutting-edge research done at U of T and other area universities – is churning out hundreds of startups and attracting global companies eager to exploit the next big breakthrough in fields ranging from AI to regenerative medicine. In the past year alone, ride-sharing giant Uber set up a self-driving car research lab in Toronto headed by U of T associate professor and leading AI researcher Raquel Urtasun; Fujitsu Laboratories announced a research lab in partnership with U of T to explore quantum-inspired computing technologies; Chinese telecom gear-maker Huawei mulled expanding an existing U of T partnership; and Alphabet’s Sidewalk Labs (a Google company) said it was partnering with the City of Toronto to build a neighbourhood of the future in the city’s Port Lands. But perhaps the most publicized vote of confidence came from online retailing giant Amazon’s decision to include Toronto on a shortlist of possible locations for a second North American headquarters – the only Canadian city to make the list. Amazon has pledged to invest US$5 billion in its new digs and hire as many as 50,000 workers in a range of high-paying, professional jobs. “People took note that Toronto is the only non-American finalist,” says Gurinder (Gary) Sangha, a lawyer and self described serial entrepreneur who teaches at the University of Pennsylvania law school and sits on U of T's 22-member Entrepreneurship Leadership Council. 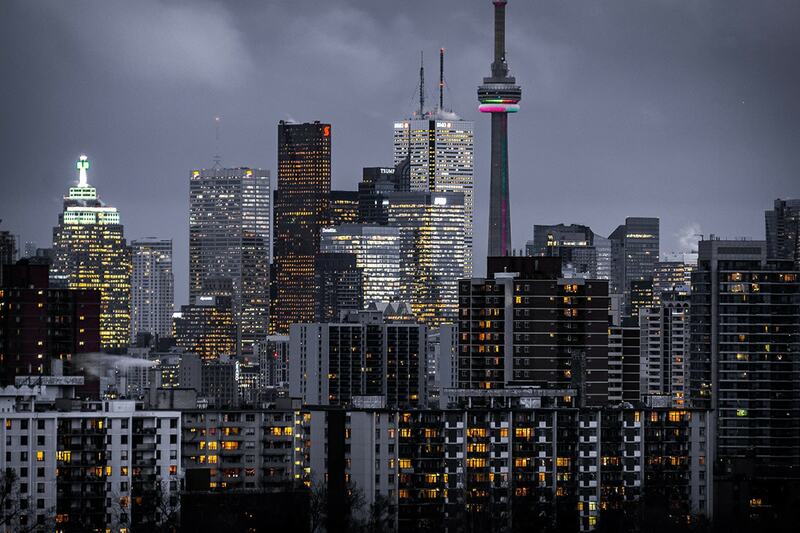 Equally unique, Toronto is one of the few North American cities that submitted a bid to Amazon’s public selection process without huge tax breaks or other financial incentives. Instead, Toronto’s pitch focused on an abundance of local talent, favourable Canadian immigration policies and the Ontario government’s promise to graduate more students in science, technology, engineering and mathematics. The launch of the Vector Institute for Artificial Intelligence last year also helped put Toronto on the map. With U of T an early leader in the field, the partnership between the university and the federal and provincial governments, as well as corporate sponsors, aimed to establish Toronto as a major centre for AI research and innovation. Indeed, the number of AI-powered startups at U of T has exploded in recent years. They range from Deep Genomics, which uses machine learning to look to for new disease cures, to Blue J Legal, which uses AI to help predict the outcome of tax and employment law cases. “We had 100 machine learning companies coming through the cohort this year and 25 in Montreal,” says Sonia Sennik, the executive director of the Creative Destruction Lab (CDL), a seed-stage accelerator affiliated with U of T’s Rotman School of Management that now has branches at business schools across Canada and one in New York City. There’s more to U of T’s innovation and startup scene than just AI. Other ventures that have captured people’s attention in recent years include: Trexo Robotics, which makes a robotic exoskeleton for children; Kepler Communications, which recently launched its first nanosatellite into space; and Wattpad, which developed a platform for users to write and share stories and recently raised $51 million in financing. Kaufman, who co-founded WinterLight with fellow computer science researchers Maria Yancheva, Katie Fraser and Assistant Professor Frank Rudzicz, says the startup benefited immensely from its ongoing association with Toronto’s growing innovation community. Over its short lifespan, the company has been involved with many of U of T’s nine incubators and accelerators, including CDL and the Health Innovation Hub (H2i). WinterLight is also a resident of JLABS @ Toronto, which became the first international location of health-care giant Johnson & Johnson’s life sciences incubator when it expanded to Toronto in 2016 through a U of T partnership. And it has a pipeline into Vector, where Rudzicz is a researcher. Kaufman says WinterLight is now focused on pilot projects with senior care providers and pharmaceutical companies – several of which are headquartered south of the border. Does Kaufman still find himself fielding questions about WinterLight’s Toronto roots?